Hester, Grady & Hester PLLC, Elizabethtown NC Workers’ Compensation Attorneys, has been protecting injured workers for over fifty years. We fight for your rights to ensure that you and your family can maintain your quality of life even if you are injured. The employer and insurance companies have lawyers on their side protecting their interests, shouldn’t you as well? We will make sure you are fairly compensated and that your interests are protected. We represent clients throughout Southeastern NC including Bladen, Brunswick, Columbus, Robeson and New Hanover Counties. Workers’ Compensation laws were developed to protect workers that are injured on the job and to provide monetary compensation for injuries and loss of wages. 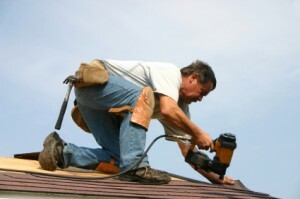 Workers’ compensation is often referred to as workmens’ compensation, workers’ comp or workmans’ comp. Employers are required to carry workers’ compensation insurance in case an employee is injured on the job, becomes ill due to work conditions, becomes temporarily or permanently disabled or dies. All fifty states require employers to carry this type of insurance if they employ more than 4 full-time or part-time employees. Workers’ compensation laws vary state-by-state but typically cover items such as medical, hospital and surgical expenses, dental services, crutches, hearing aids, nursing care and prescribed medications among others. Additional compensation can be awarded if the injured is temporarily or permanently disabled or if you require in-patient hospitalization. The employer is typically required to continue covering medical expenses as long as medical treatment is deemed necessary and reasonable. Navigating the details of filing workers’ compensation and getting you fairly compensated for your medical treatment and injury can be difficult. We’re here to assist you every step of the way, fighting the insurance companies and their lawyers if necessary. If you need an experienced and trusted lawyer to help you obtain fair compensation, contact us for a free consultation.